Hair of the Silence Earplugs Manages to Make Silence Gross | OhGizmo! Why Should Grown Ups Have All The Fun? There’s A Jacuzzi For Babies Too! By Hazel Chua on 10/11/12 • Leave a comment! Finding hair in places where there shouldn’t be any is pretty funny, and it’s actually used as the subject for a lot of humorous skits and comics. I don’t exactly know why it’s funny or amusing either. I mean, it’s not taboo to have hair in places where others don’t have any, right? Like your ears, for instance? 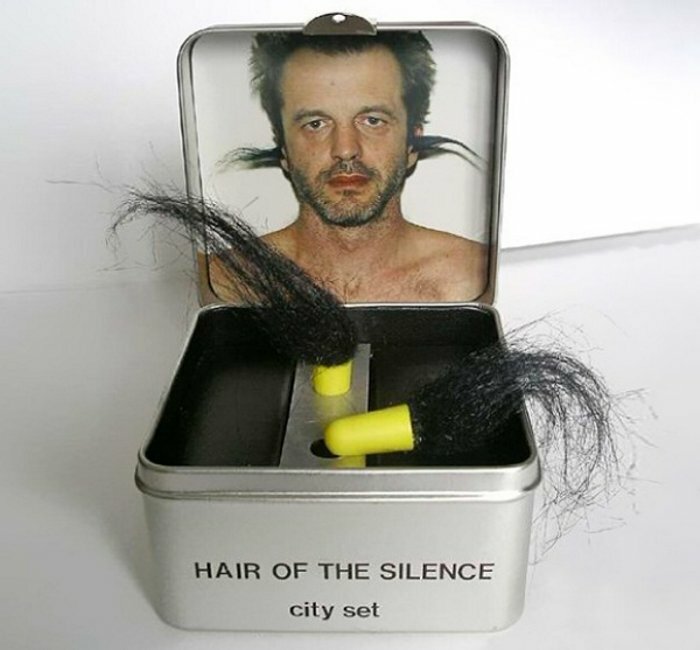 These hilarious ‘Hair of the Silence’ earplugs were made by Solveiga and Alfredas Kriviciai. I think these were part of an art series they did, so you probably won’t find these on sale anywhere in the world. However, I don’t think they’re that hard to make either, so if you feel like grossing anyone out, then feel free to glue some fuzz on regular earplugs and you’ll be good to go.